This chapter examines the importance of understanding of moral reasoning processes in individuals involved in mediation. It discusses Lawrence Kohlberg's model of moral reasoning and applies it to a case study of a workplace dispute. The chapter also discusses the care ethic versus justice ethic debate put forth by feminist psychologists challenging mainstream theories of moral reasoning. 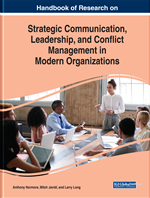 The chapter concludes by examining the impact of moral reasoning processes on mediation and how it might lead to re-imagining the skill set needed mediate conflict effectively (i.e., skills that involve emotional intelligence). Theories of moral development often accompany theories of moral reasoning. Theorists draw links between moral reasoning strategies and antecedent development through childhood into adulthood. The most notable theorist among them is Lawrence Kohlberg. Moral Reasoning: Applies critical analysis to specific events to determine what is right or wrong, and what people ought to do in a particular situation. Both philosophers and psychologists study moral reasoning. Meta-Message: An inner message that could be inferred or implied from a message. Emotional Intelligence: The ability to read people and understand their emotions, and how well you can recognize and respond to feelings and emotions.